Have you ever been skiing in Moena? If you have, you need not read further – its spellbinding white slopes have surely conquered your heart already. 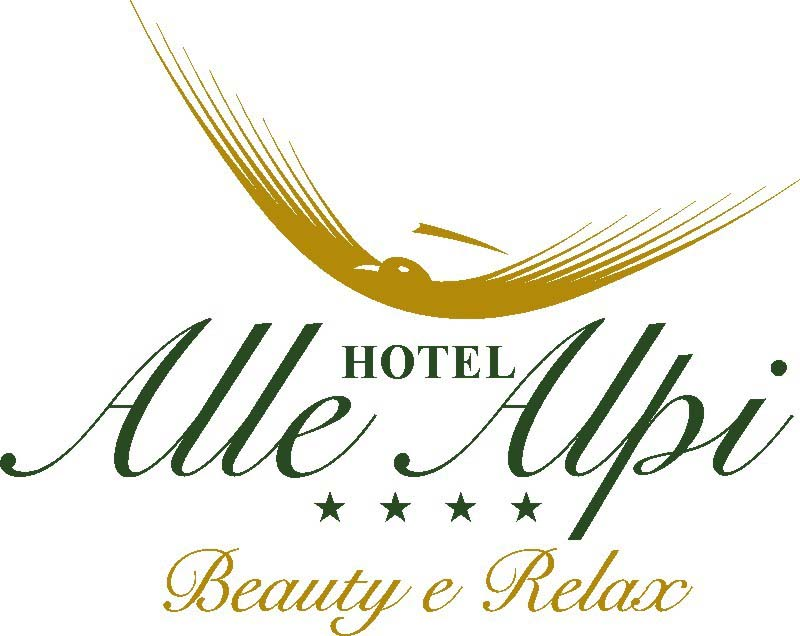 Hotel Alle Alpi – Beauty e Relax next winter. As one of our VIP guests once said: “Moena is always worth a visit”. Those who come here for the first time are impressed by its fairy-tale quality and beauty, two features that earned Moena the nickname “Fairy of the Dolomites” – a most befitting one, especially in winter when the rooftops and the surrounding forests sleep under a fluffy white duvet. of the Trevalli Ski Area, which comprises Alpe di Lusia, Bellamonte and Passo San Pellegrino. And there are plenty of alternatives for non-skiers, too! In 8 minutes, our hotel’s private ski bus takes you directly to the lift facilities of the Alpe di Lusia. Other ski resorts such as Latemar, Cermis and the legendary Sella Ronda tour are also at your fingertips – either by booking the ski bus service or during the 3 weekly tours guided by our expert Rossana. This way, you can leave your car keys at the hotel and go skiing in Moena without having to pay extra for transport. 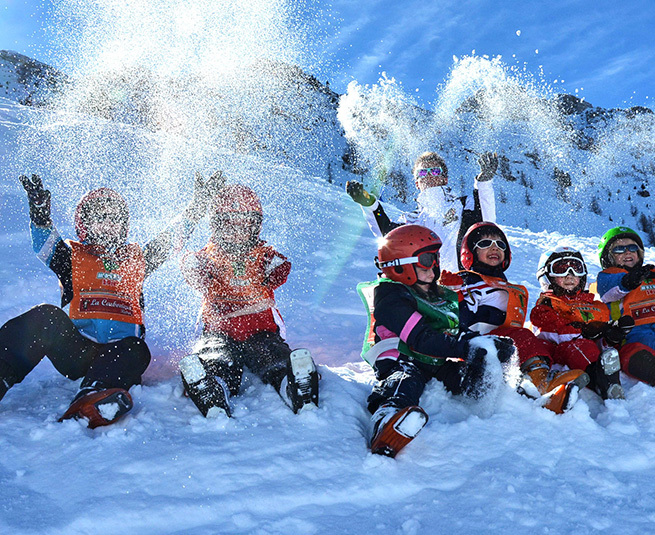 Another good reason to come visit us in winter is that we have in store two different activity programmes for you to choose from – the skiers’ programme and the non-skiers’ alternative. Our main goal is to offer each and every guest a personalised holiday. The skiers’ programme includes ski experiences in some of the most charming slopes of the Dolomiti Superski – the world’s largest ski carousel with over 1,200 km of pistes – as well as Nordic ski days at the Alochet cross-country ski centre. For non-skiers there’s our off-the-slopes programme, offering winter hikes and snowshoe hikes in the woods, cultural tours and more. The evening entertainment programme will crown your day with music, games, karaoke, cinema and cabaret – a spoiling choice for all tastes and ages. To cap it all, we provide all you need for your ski holiday: you can rent skiing equipment, book ski lessons and get the lift passes directly at the reception! 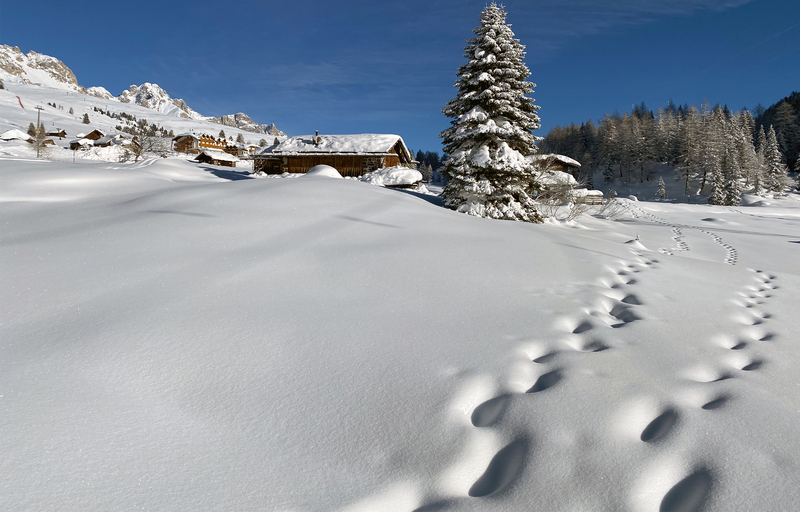 Get ready for an unforgettable ski holiday in Trentino!